IDstewardship.com is a place to learn and be entertained. It is a crossroads of pharmacy, education, infectious diseases, social media & entertainment. The content you will find here is written by content experts and is meant to help future healthcare practitioners, current healthcare practitioners, and others. This site is pharmacy-centric, but it is not just for pharmacists. At IDstewardship, you will find a variety of content that may be helpful for future healthcare practitioners, current healthcare practitioners, and others. Check out the articles section for short articles on important issues in healthcare today. These text are written by content experts with significant training and experience in their respective field. If you are an expert in your field and would like to contribute at IDstewardship.com, you can make contact by emailing IDstewardship@gmail.com. Check out the pharmaceutical drugs study guide section and you will find a free study tool meant to assist you with your infectious diseases course, pharmacotherapy course, microbiology course or certification exam. The information provided in this section cuts straight to the point, highlighting particular points of note. Each drug has an additional resources subsection, which provides links to relevant guidelines, publications or other content that you may find beneficial if you would like to learn more about that particular drug. Photos of the drugs found at the bottom of each page are meant to assist visual learners. For example seeing that rifampin is red may help you remember that rifampin can color your secretions red. Check out the resources section and you will discover a variety of helpful links. The first part of this section is tailored for antimicrobial stewards, infectious diseases practitioners, and infection control personnel. It identifies open-access websites for antimicrobial stewardship programs at some of the top healthcare systems & institutions. The resources found on these websites are vast and reviewing content from the various websites is likely to prove beneficial as antimicrobial stewards initiate and expand their programs. Some tools for stewards are also identified. Below this antimicrobial stewardship section, there are links to the top infectious diseases related websites. These websites can help you to find new resources or connect with a group that may be of interest to you. Next are links to some of the most important guidelines that can help in the management of patients with various infectious diseases. This is followed resources meant to help current and future pharmacists looking for post-graduate training positions or employment opportunities. Finally, some other healthcare-related blogs are identified. If you have a resource that is not on this page and would like to see it added, you are invited to send an Email to IDstewardship@gmail.com. Check out the quotes section and you will find words to inspire and live by. These are some excellent quotes from top leaders in healthcare and teaching. Social media and the internet have revolutionized the way we interact and connect with one another. Unlike any other time in history, we can now share our ideas, knowledge and passions with others worldwide 24 hours a day, 7 days per week. Inspired by the potential of the technology at our fingertips, IDstewardship.com was created to share content and discuss antimicrobial stewardship, infectious diseases, the profession of pharmacy and the field of healthcare at large. IDstewardship.com can be a study tool, a place to read about current topics in healthcare, a place to find useful antimicrobial stewardship resources, a place to become inspired and more. Content on this website is specifically tailored to the audiences it is meant to benefit. Material and information provided at IDstewardship.com is developed by experts who have significant training and experience. At IDstewardship.com you can benefit from what experts have to share. WHAT IS IDstewardship & WHAT IS ANTIMICROBIAL STEWARDSHIP? The spread of drug resistance in pathogenic microorganisms worldwide combined with a dwindling antibiotic pipeline has brought us to the point where the future of many antimicrobial drugs is uncertain. Antibacterial, antiviral, anti fungal and anti parasitic medications are integral to the treatment of infectious diseases. As drug-resistance reduces the tools we have to treat patients with infections, the field of infectious diseases remains in considerable trouble. A steward may be defined as someone who manages or “looks after” property that does not belong to them. Antimicrobial stewardship refers to overseeing appropriate and safe use of antimicrobial drugs. Antimicrobial stewardship and infection control are two of the main tools we have to fight the growing threat of drug-resistance. 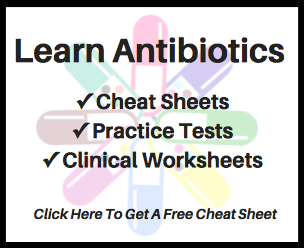 A great resource for learning more about antimicrobial stewardship is the Infectious Diseases Society of America’s Guidelines for Antimicrobial Stewardship. WHAT DO PEOPLE HAVE TO SAY ABOUT IDSTEWARDSHIP? I wanted to show my appreciation for this FB page/website. I just finished my P2 year at UT Austin College of Pharmacy, and I can honestly say the ABX medication links were extremely helpful to me. Reading each description of medication allowed me to understand and apply my knowledge to finish the module with confidence! Thank you for helping me with something I am highly interested in, ID! Thank you! I love your page by the way! I wanted to specialize in ID but my options were limited geographically. Keep doing what you’re doing! Hi… I am a 4th year pharmacy student at LECOM. I am currently on an infectious disease rotation and I thoroughly enjoy it. I just wanted to say I respect your craft highly and find it fascinating a very valuable knowledge area for pharmacists. I look forward to learning a great deal from your page as I am new to following it. Keep up the great work. My ID professor just recommended your page to help with learning our material. Funny thing is I’ve been following you [on Instagram] way before starting pharmacy school. Love your posts! They’ve helped me immensely especially now that I’m in the ID module and have had prior exposure to the material. Thank you so much! I just love your website! In the past year I have become a member of our health system’s antimicrobial stewardship committee. I have been finding it difficult to get a good working knowledge of antibiotics. But IDstewardship.com is the answer! I copied the whole study guide into a binder. It gives me just the right amount of information. And there’s so many interesting and even humorous articles. Thank you so much!